There is no denying that a chilled drink is more important than anything after a long and tiring day. And during those warm months, all we need (sangria recipe) is something more refreshing in that order. Also, we all like to celebrate summers. So, why not celebrate it with a pitcher of Sangria? Be it a bottle of red wine, white or a sparkling one, any of them can be transformed into something that will refresh you to the core. So now when you have a drink to keep you covered, check out these easy Sangria recipes. Nothing will delight your buddies than a chilled blend of cherry vodka, frozen limeade and white wine. 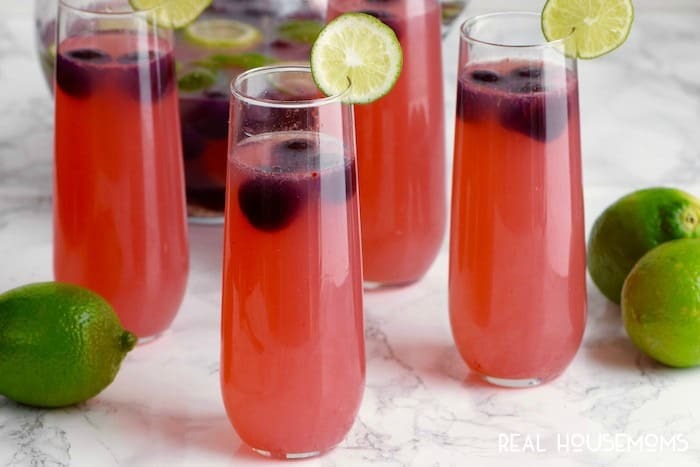 This sangria is so simple that it barely looks like a recipe.